Today I will be showing you a other perspective on beauty: skincare. So I decided to look for some products that are good for my skin and easy to use. 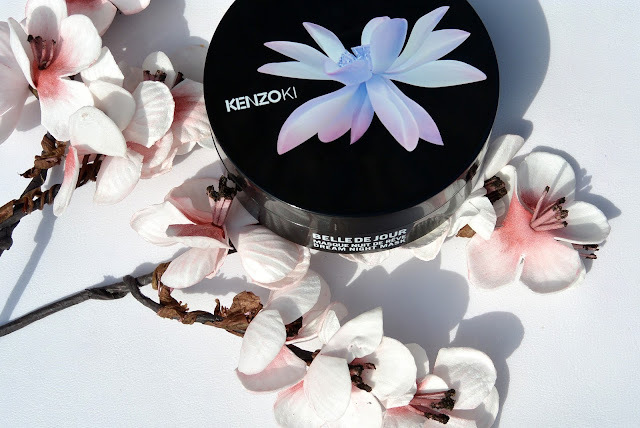 I found this beauty: Kenzoki's Belle de Jour dream night mask. 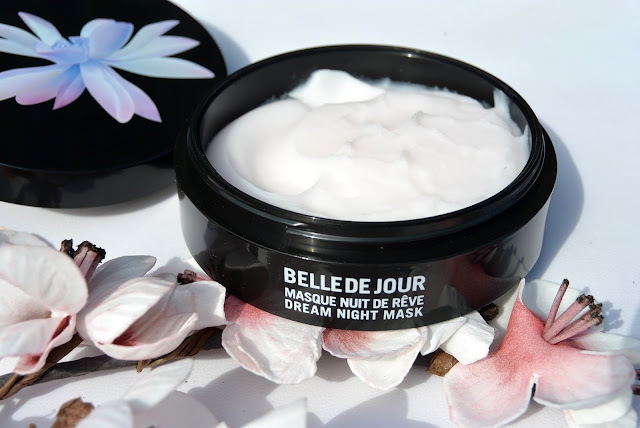 Belle De Jour Dream Night mask is an innovative mask that protects and refreshes the skin overnight. 'Dream Night Mask', as the name reveals we have to use this mask in the evening and leave it on during the night. Belle de Nuit Extract hydrates, soothes, and combats redness and irritation. This night-blooming plant is renowned for its moisturizing and anti-inflammatory properties. It helps the balance skin by combatting irritiation caused by UV rays, pollution, and other daily aggravators. 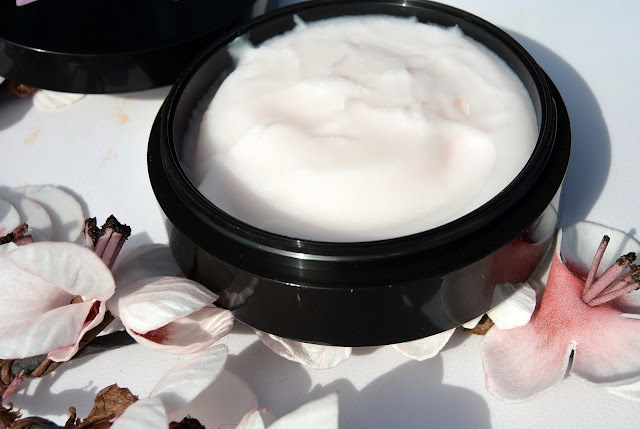 Kenzoki’s patented White Lotus Alchemy protects, illuminates, and helps fend off all signs of skin aging including wrinkles, loss of firmness, and dullness. Its free radical-fighting action supports natural collagen fibers, which help reinforce skin and cellular renewal. As you can see in the picture above, this mask looks like a cloud (my opinion :D). It is very soft and easy to apply. But how do we use this mask? Apply a thin layer of the product, leave on the entire night and clean your face as usual in the morning. You can do this 2 or 3 nights a week. You can also use this mask as any regular mask. 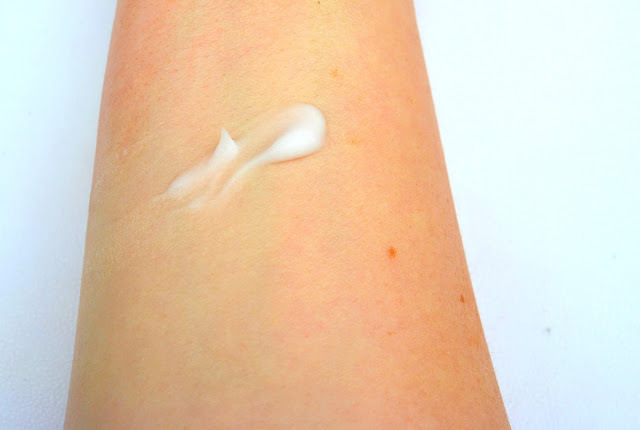 Apply a thick layer of the product, leave on for 15 minutes and take of with a cotton pad and lotion. I will definitly keep using this mask because it really works for me. Will you try this mask out? Ik heb al zoveel goeds gehoord over het merk kenzoki. De crème ziet er ook heel hydraterend uit, ik ga hem zeker in mijn gedachte houden. Love this mask! Thanks for sharing dear! Ik hou van Kenzoki <3 Ik wil meer dingen proberen! The mask sounds amazing! Must try! I've never heard of this brand before, but it sounds amazing! Thanks so much for sharing, beauty, and I hope you have a wonderful start to your week! Really lookes like something I would try, I love the packaging and your photography as well! 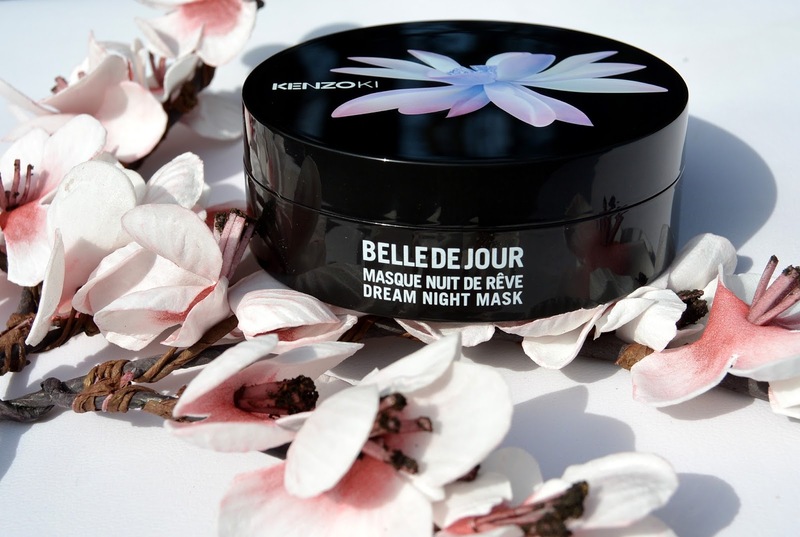 Beautiful review, I am addicted to mask, so I probably will give the night mask a go. Happy Tuesday, Ilona. Olala, dit lijkt mij een zalig masker!